SADAKO & FLOYD was developed in part at the Johnny Mercer Writers Colony at Goodspeed Musicals and at CAP 21's Artists Residency Program. This new musical is inspired by the lives of Sadako Sasaki and Floyd Schmoe, whose very different stories share a common theme. 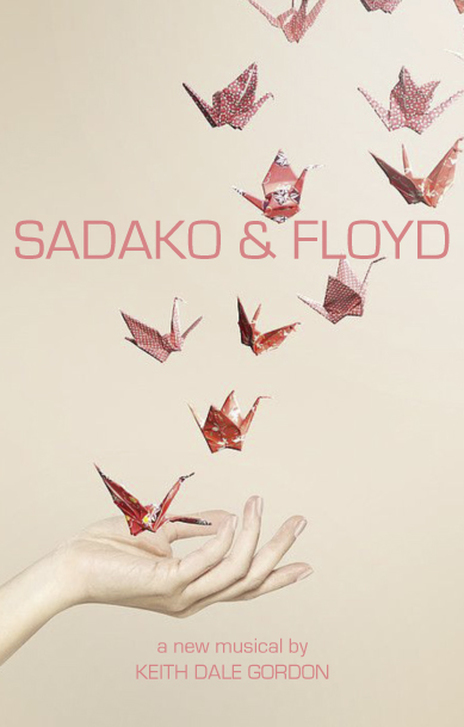 ​The joy, humor, and optimism in both of their lives propel SADAKO & FLOYD to its triumphant, hopeful finale. It is the true tale of Sadako Sasaki, who is two years old and living in Hiroshima when the bomb drops. She survives, and at age eleven, her goal is to make her family proud by becoming the fastest runner on the Junior High School relay team. Sadly, she is diagnosed with leukemia – “the atom bomb disease.” Inspired by a Japanese legend, Sadako and her friends start to fold 1,000 paper cranes, hoping the gods will grant her good health. This wish evolves into something Sadako could never have imagined. Her story has become legendary, and people all around the world celebrate her life. Today, a monument of Sadako holding a paper crane stands in Hiroshima Peace Memorial Park. ​Floyd Schmoe is a Kansas-born Quaker who lives to be 105. His journey takes him abroad, working with the Red Cross in World War I; from life on a glacier on Mount Rainier, where he loses his eldest daughter; to the East Coast, and Hiroshima, Japan. Along the way he meets the love of his life, captains of industry, heads of state, and the Emperor and Empress of Japan. He is honored with the Kiyoshi Tanimoto Peace Award – the first American to receive the honor – for founding Houses for Hiroshima, building homes for those who need shelter after the war. At age 95, he opens a Peace Park in Seattle, which features a statue of Sadako. However, the day before the opening, he is interrogated by the FBI, and warned against opening his park, as there is a threat against his life. Floyd and Sadako never meet – one life cut short, one life so long – yet their extraordinary lives are intrinsically linked. The intertwined legacies of SADAKO & FLOYD portray the infinite potential of compassion, humanity, and hope. Sadako Sasaki’s story moved me when I was growing up and resonated with me throughout my life. My research led me to discover the extraordinary life of Floyd Schmoe. Their lives are so compelling, full of warmth, humor, and meaning, that I felt I had to express them in a musical. The path of writing SADAKO & FLOYD has taken me far beyond the world of musical theater. 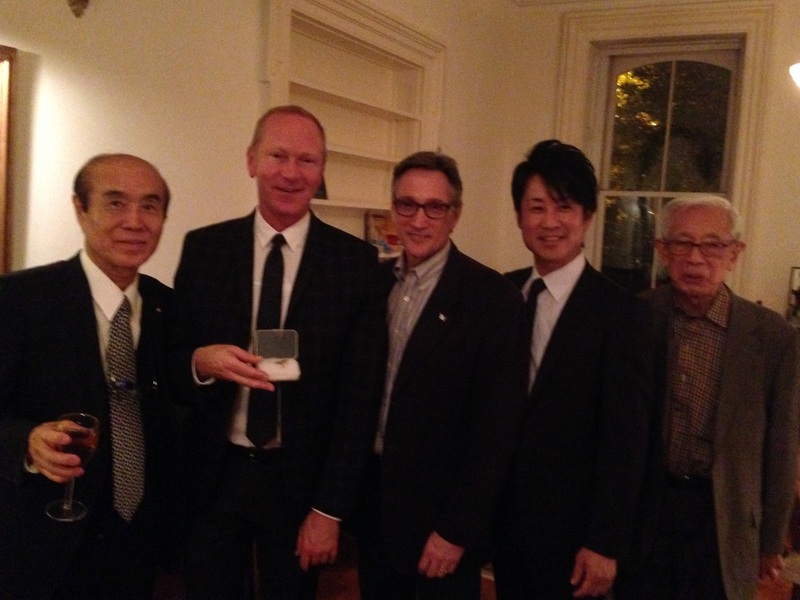 It has been a joy to get to know Sadako’s brother, Masahiro Sasaki, and his son, Yuji. 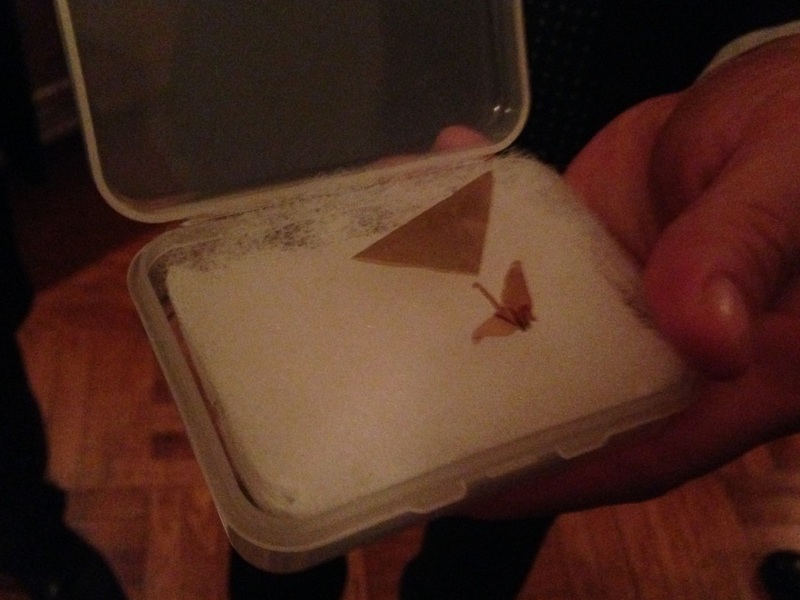 They brought me one of the last origami paper cranes folded by Sadako to hold – so small, yet so powerful. Masahiro feels that as a hibakusha (survivor of the atom bomb), it is important for him to share Sadako’s story and her omoiyari no kokoro, which means “compassionate heart” and the idea of putting “others before me.” It’s a great honor that Masahiro told me that he believes I have a kindred heart. Over time, I have become friends with Clifton Truman Daniel, Harry Truman’s grandson, too. We have spoken at length about Hiroshima. Both Clifton and Masahiro do not look to the past to dwell in blame, but believe reconciliation lies in the future. ​The iconic origami paper cranes that have become intrinsically linked to Sadako’s story are internationally known. Paper cranes folded by Sadako are now in Iran, Japan, Austria, at the USS Arizona Museum in Pearl Harbor, in the Truman Library and Museum, and at the World Trade Center. They are a lasting symbol of reconciliation, compassion, and hope. ​I also met Setsuko Thurlow, a hibakusha, 2-time Nobel Prize nominee, and Hiroshima Peace Ambassador. She knew Floyd Schmoe and experienced his kindness. They met in Japan when Floyd was establishing “Houses for Hiroshima,” and he later helped her on her travels from Japan to study in the US, to ensure she reached her destination safely. Much of what Floyd did was for individuals – one on one – yet his impact, and its ripple effect in our world left a global legacy.